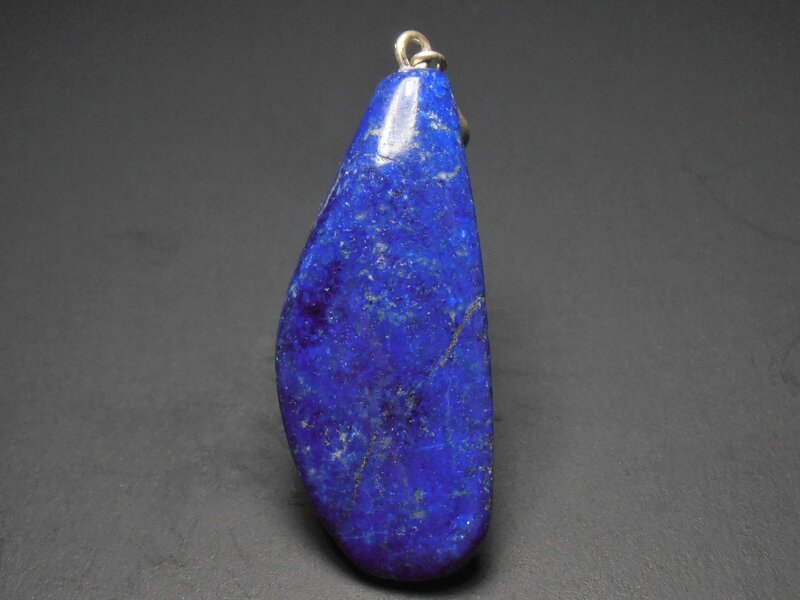 Lapis lazuli (lapis) is a semi-precious stone that has been used for thousands of years for jewelry and ornamentation. The Egyptians valued it highly and used as an inlay in the death mask of King Tutankhamen. It can also be used in a multitude of metaphysical applications. It is sometimes called lazurite and although that is a component of lapis they are two distinctly different blue stones. 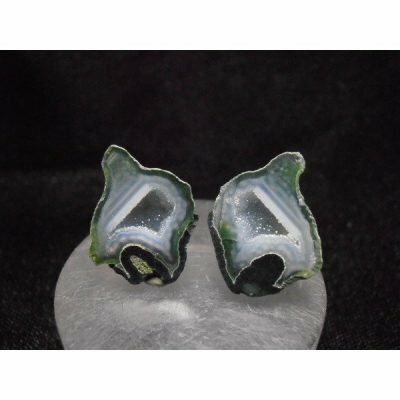 Lapis is a stone that can also contain other minerals such as pyrite and calcite. This pendant has been cut into a free form shape and then polished on all surfaces. The bail is made of sterling silver. This piece measures 1 5/8 x 11/16 x 3/8 inches or 42 x 20 x 9 mm. It weighs 52 carats.